As promised, and following my post WIP Wednesday-8th March, I have drawn up the pattern for a Worry monster. Click on the link and you should be able to download the pattern. I do not have any fancy software for drawing patterns, so it has been hand drawn and scanned in (despite my threats to the scanner, it still scanned in wonky!) However, the parts on it should be clear enough. Each component has been drawn once, at 100% scale. As a guide, when I made my monsters they were all hand sewn and took around 1.5-2 hours. 1. Draw and cut out the pieces of your monster on your chosen fabrics. You will need two monster bodies, two (or more if you fancy!) eyes, as many teeth as you like and one pocket and pocket flap. Tip: I used felt for the eyes and pockets so that I could just sew around the edges and didn’t have to worry about fabric fraying. 2. Arrange the square pocket and eyes on the right side of one of the monster body pieces. I included a 4mm seam allowance so be careful not to place these too near the edges. 3. Carefully sew on the eyes and pocket using a running stitch. Remember to only sew around 3 sides of the pocket! 4. Attach buttons to the eyes very securely. 5. Cut a slit in the pocket flap to fit the size of the button you are using (the line on the pattern is there as are guide only). Sew over the raw edges a few times to strengthen them, or use buttonhole stitch if you like. 6. Now attach the top of the pocket flap just above the square pocket, and then sew a button on to the pocket to align with the buttonhole. 7. Using your fabric pencil, draw on a mouth just above the pocket, leaving room for teeth to be attached too. Carefully backstitch along this line, sewing on teeth as you go. 8. Place and pin both parts of the monster with right sides together and either machine stitch or securely backstitch right around the edges, leaving a gap for the stuffing. I started on the inside edge of one of the ears and finished on the inside edge of the other ear, leaving the gap between them at the top of the head for turning it and adding stuffing. Tip: I sewed 3 or 4 times in the same spot at the beginning and end so that it was nice and secure when turning it the right way out. 9. Turn your monster the right way out and use a sharpened dowel (or biro with the lid on!) to poke out the ears, hands and feet. 10. Add stuffing, pushing it carefully into the ears, hands and feet using your pokey tool. 11. Sew the top of the head closed. For this I used a mattress type stitch and very small stitches to keep it neat. I hope these instructions help you to make your own monster; if you have any questions please ask away in the comments section and I will reply as soon as possible. 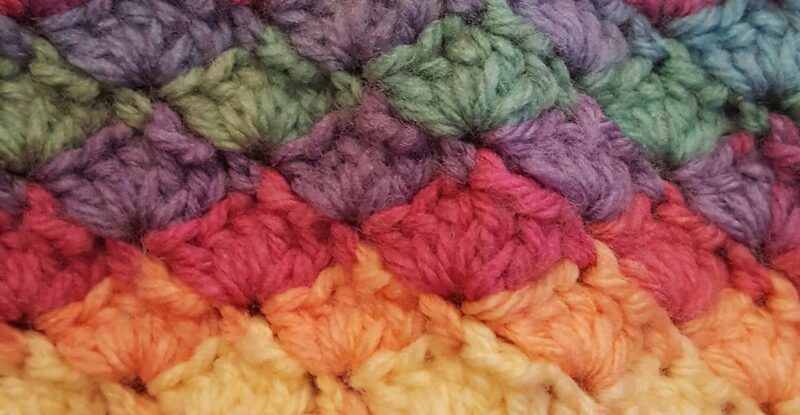 Feel free to use and share the pattern, but please acknowledge my blog as the source. Enjoy being creative with your monsters, may you be worry free! Thank you for sharing the pattern. I’m pretty certain I will learn something new with this. I also love the idea of having a worry monster for children. Thank you, I’m hoping it is helpful as I couldn’t find a suitable pattern when I looked. OH HOW FABULOUS IS THIS!!! Little Cobs would love this little guy. I think I’m going to have to make it. I came across some fabric fat quarters last weekend which I bought a while back, put them in a safe place, so that they would be ready for when I wanted to make the thing I had in my mind, and totally forgot about them. They would be brilliant for this little guy. Thank you for the share of the pattern and all the instructions. Bless your beautiful heart, Mrs. C. Love you for it. Amateur??? Are you crazy??? It’s meant to look like a friendly monster … it’s meant to be slightly ..’off centre of reality’ … not human, but not quite monster or horrible creature. Something that you’d wonder if you should love and hug, laugh at or be just a teeny bit scared of if you met it on a sunny Sunday afternoon. In short …. it’s perfect! You’re clever. No … you’re brilliant! Don’t sell yourself short missy.